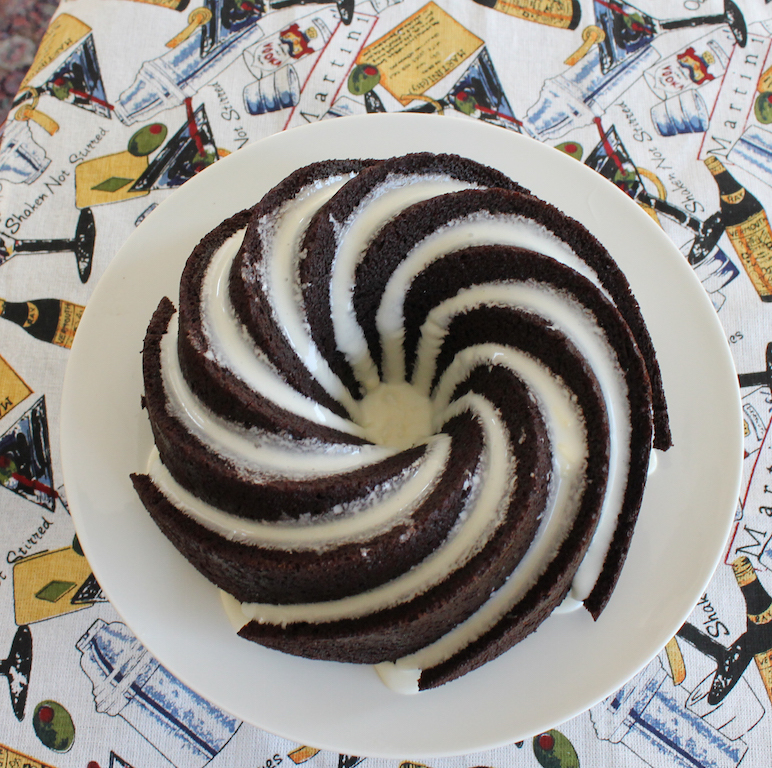 Frosty root beer with a big scoop of vanilla ice cream – that is to say, root beer cake with vanilla ice cream glaze or a root beer float – in Bundt cake form! You know that feeling your teeth get after drinking Coke, kinda gritty like they are rough as you rub them together? I hated that as a child so I wouldn’t drink Coke. My favorite beverage was root beer, and if it wasn’t on the menu, I’d order Sprite or 7Up. Remember the uncola? My parents divorced when I was nine so every summer my sisters and I would travel to spend time with our father. In the early years he lived in South America – known to some as The Land of No Root Beer. Okay, I’m the only one who called it that. It is a fact though that until just a few years ago, most of the world was The Land of No Root Beer. I guess it’s a typically American thing. Anyway, when we went to visit Daddy, my mom always packed a small bottle or two of root beer extract so that I could make my own libation. Non-bubbly root beer wasn’t quite the same as the bottled stuff but it was way better than a summer without root beer. Truth. When our host Laura, of Baking in Pyjamas, chose Beverages for this month’s Bundt Baker theme, I thought I was being original in wanting to make a root beer flavored cake, but as often happens when theoretical brilliance strikes, the internet revealed that many people had beat me to it. 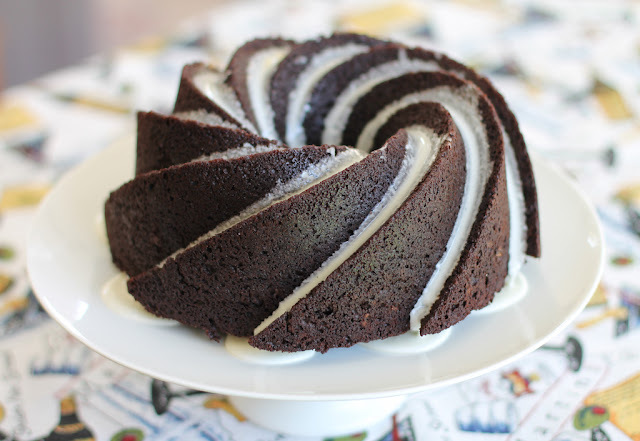 I also found many recipes for frosting using ice cream, but this may be the first Bundt cake to combine the two, root beer float style. Or not. 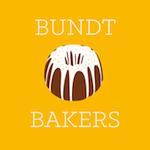 At some point a person just has to stop searching the web for reassurance and get on with baking. 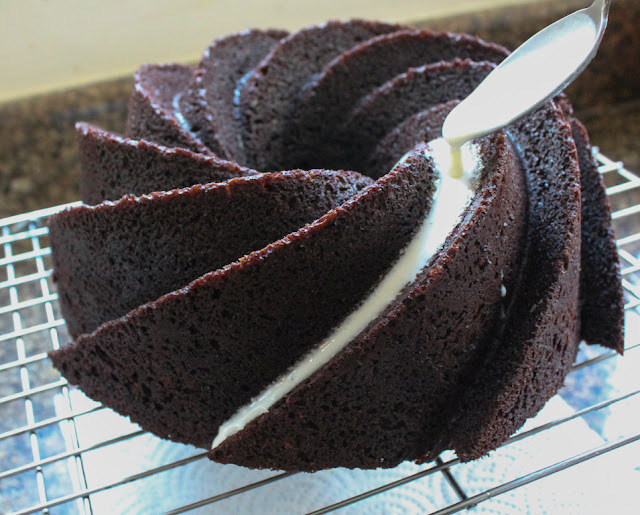 Preheat your oven to 325°F or 163°C and prepare your 10-inch Bundt pan by spraying it liberally with nonstick cooking spray; alternatively, butter it then dust lightly with cocoa powder and knock out the excess. Cut your butter into small chunks. 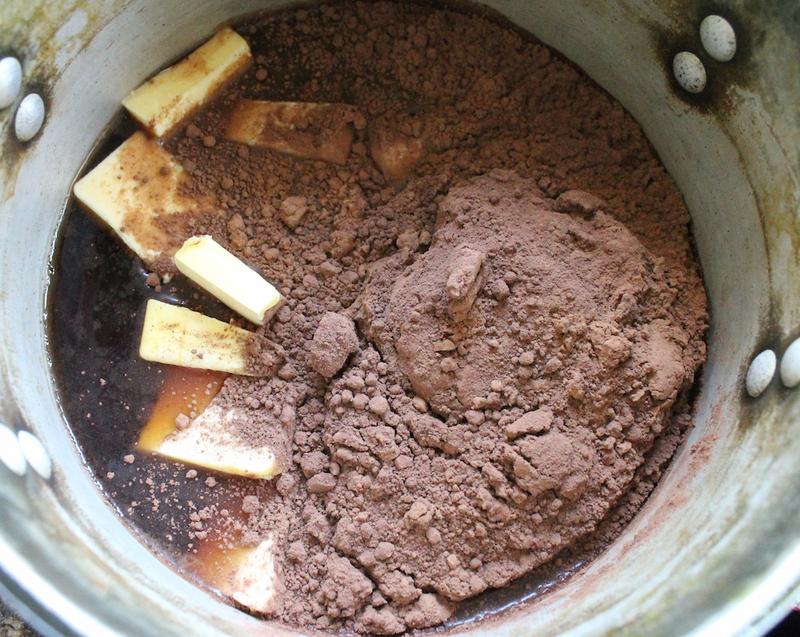 In a medium sized pot, heat the root beer, cocoa powder, and butter over medium heat until the butter is melted and you have a nice homogeneous chocolatey sauce. Add the sugars and whisk until dissolved. Add the root beer flavoring and whisk again. Remove from the heat and leave to cool. 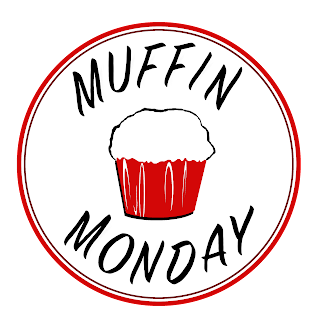 In a mixing bowl, whisk the flour, baking powder, baking soda and salt together. If your whisking arm is tired, take a short break. 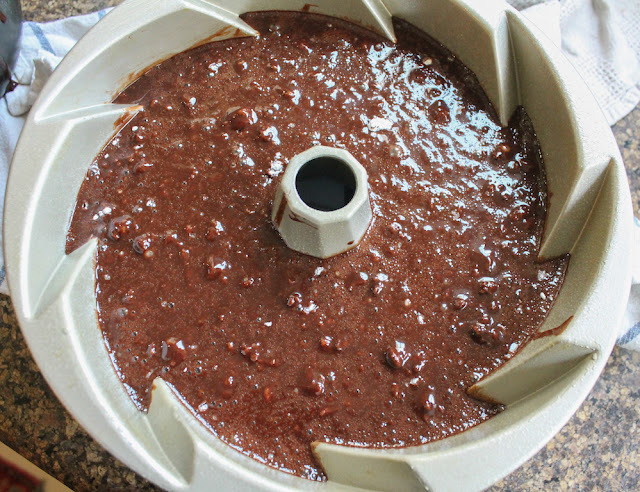 We've got more whisking coming up and the chocolate mixture needs a little more cooling time anyway. Probably. 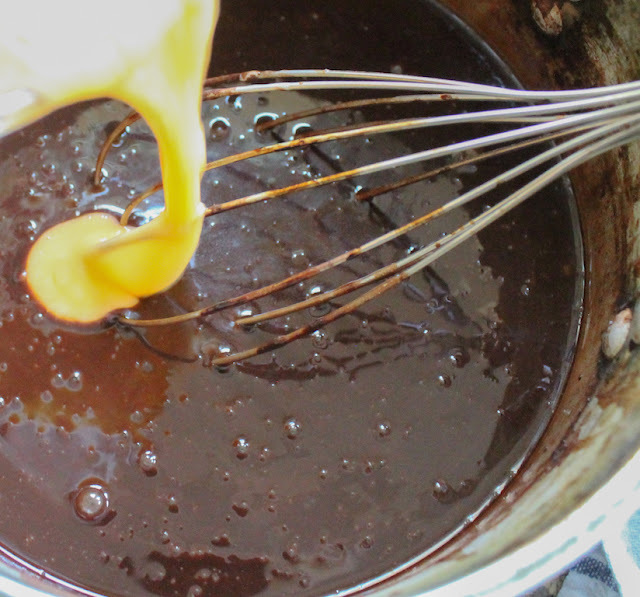 In a small bowl, whisk the eggs until just beaten, then whisk them into the cooled cocoa mixture until combined. 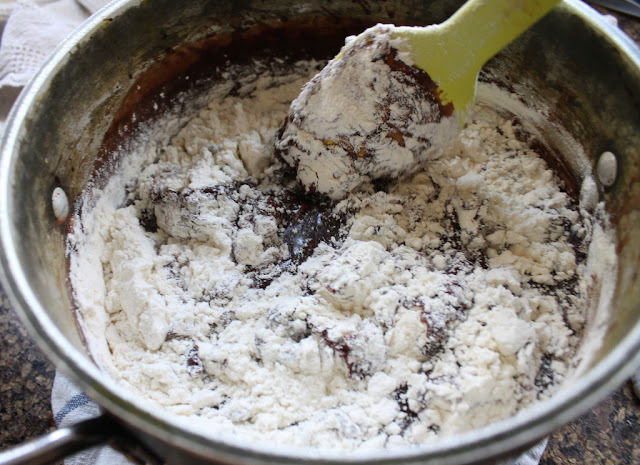 Gently fold the flour mixture into the cocoa mixture. A few small lumps may be visible but that’s okay. Bake for 45 to 50 minutes. Test for doneness with a wooden skewer. 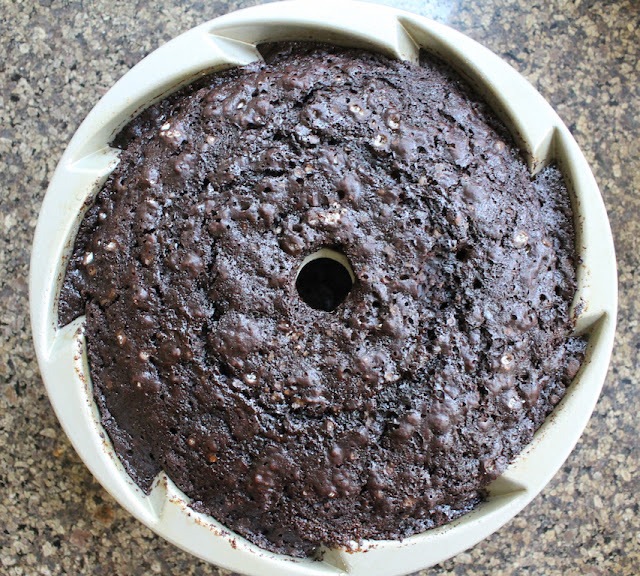 When it comes out clean, your cake is done. Transfer the pan to a wire rack and leave to cool for about 10 minutes. Gently loosen the sides of the cake from the pan and turn it out onto the rack. Leave to cool completely while you get on with making the glaze. 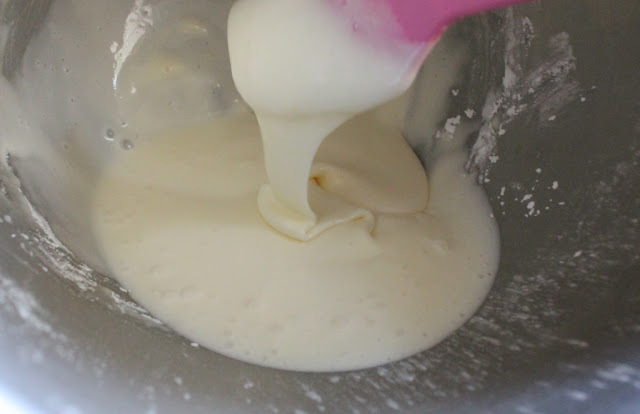 In a mixing bowl, add the salt to the melted vanilla ice cream along with one cup or 125g of icing sugar. 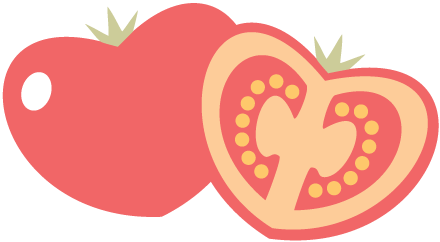 Whisk well to combine. 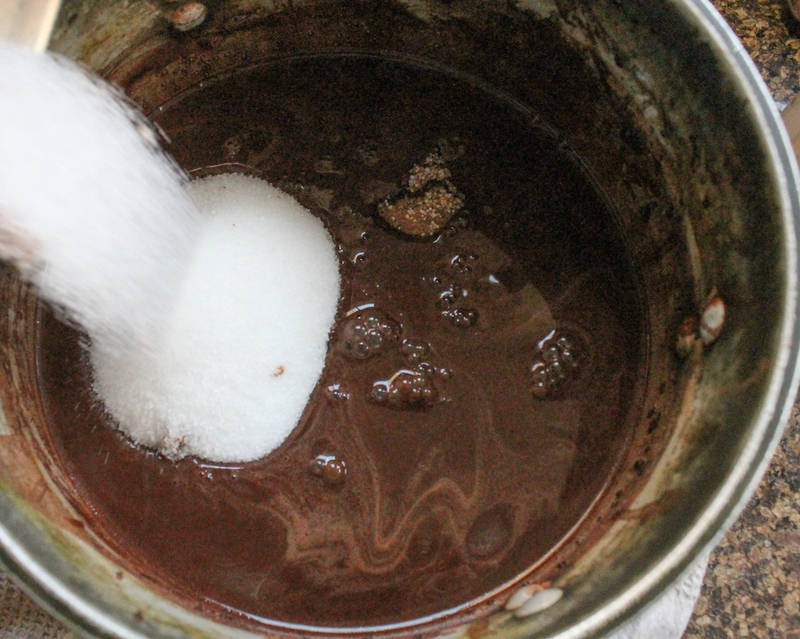 Keep adding the remainder of the sugar a little at a time, stirring well with each addition, until you reach your desired consistency of glaze. I like a thick glaze so I added all of the sugar. 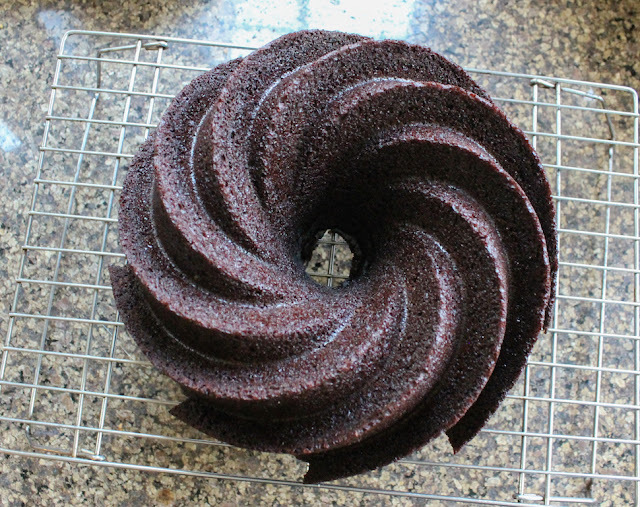 Once the cake is completely cooled, drizzle on the glaze or pour it completely over the Bundt. 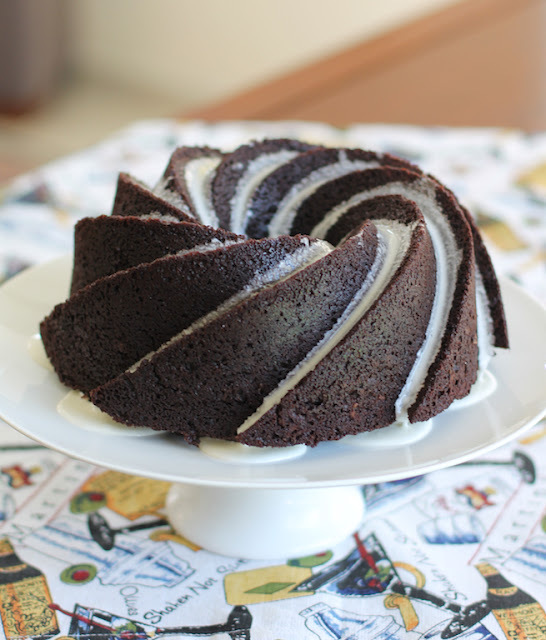 Since I had baked in the Nordic Ware Heritage pan and wanted to emphasize its wonderful swirls, I didn’t use all the glaze this recipe makes. Store any leftover glaze in the refrigerator. You can spoon more on when serving the cake, if desired. 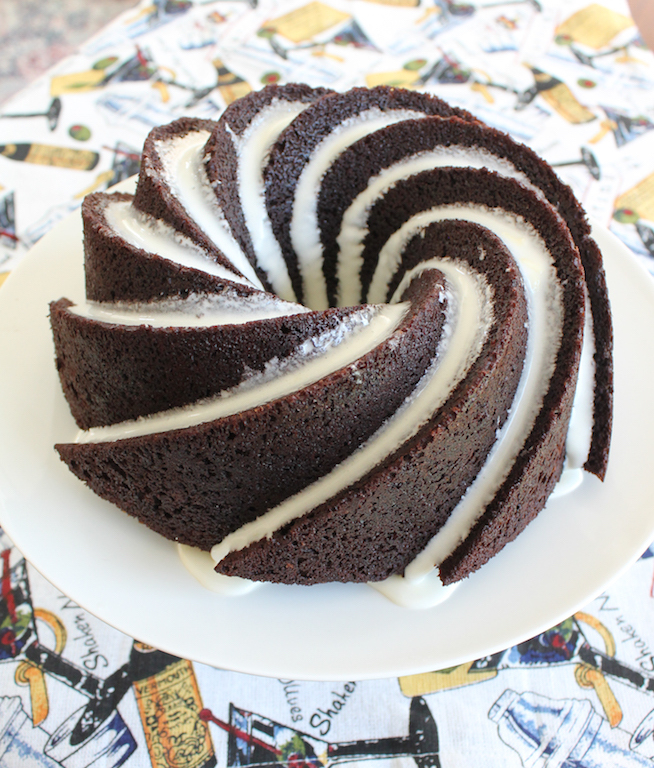 Has your favorite beverage been transformed into a Bundt this month? 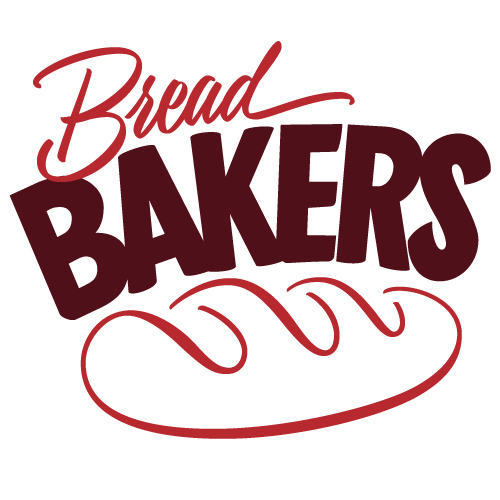 Check out our link list of 30 drink inspired recipes to see!